The following information comes from the research of NCOMA President Emeritus Barbara Walker, DO, presented for the first time at the “North Carolina Osteopathic Heritage Lecture” during NCOMA’s convention in 2008. The earliest recorded history of NCOMA dates back to 1904 and encompasses over a century of advances and setbacks for DO’s in North Carolina. 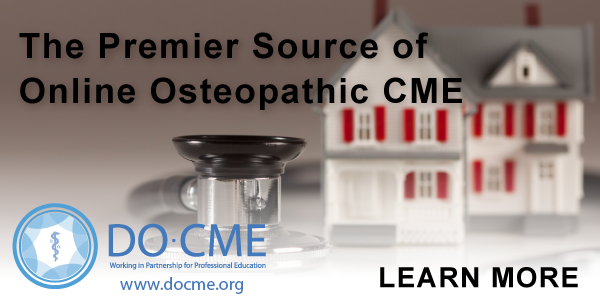 It was only in 1995 that DO’s were recognized for full licensure by the NC Medical Board on the basis of osteopathic credentials. The first annual meeting of the North Carolina Osteopathic Society was held in October in Greensboro. There were 3606 total AOA members: 2428 males and 1178 females. The population of North Carolina was 1,900,000 and there were 17 DOs 17 in the state. The establishment of the Board of Osteopathy to license DOs in the state was lauded as a great victory for the profession. Certificates were first issued similar to the certificate issued by the A.O.A. showing that the holder has the right to practice osteopathy. The Society voted to change its bylaws so as to enable it to become a Sectional Society of the A.O.A. The new constitution was then adopted. The secretary was authorized to make application to the A.O.A. for membership as a Sectional Society. The Society agreed to affiliate with the Virginia and Washington DC Osteopathic Societies in the formation of a district association. The treasurer was authorized to pay this district association annually $5 dues for each of the Society’s members. The formation of the Mid-Atlantic Osteopathic Association was endorsed. A bill to increase practice privileges had been introduced in the 1947 assembly, but was defeated in committee. The effort proved an expensive one, as high-priced lobbyists had been engaged. Plans were made to plan for another effort in 1949. A contract had been signed for the Society which provided for outpatient osteopathic treatment of service connected disabilities of veterans, subject to the various rules and regulations of the Veterans Administration. Osteopathic physicians and surgeons were now being appointed to serve in the Veterans Administration, Department of Medicine and Surgery. $10,000 to be given to National Osteopathic Foundation to help students with loans while asking them to practice in NC after internship for a minimum of 2 years. Unanimously passed. First mention of Medical Board licensing DOs. in an allopathic hospital before qualifying for a NC license. Matter was to be brought to the attention of Gov Hunt as a violation of the individual rights of all Osteopathic Physicians. Governmental Evaluation Commitee Public Hearing regarding the Osteopathic Board. Was at that time only doing renewals. There were only 12 active osteopaths licensed under the Board of Osteopathy who limit their practice to non-drug and non-surgical treatment. NCOS recommended a separate Board for DOs that licensed ALL Osteopathic Physicians. The AOA sent a regional representative to NC to re-establish the state association. Osteopathic National Boards were accepted for licensure by the North Carolina Medical Board (but only if all three parts were taken AFTER January 1990). The North Carolina Medical Board granted licenses by reciprocity to osteopathic physicians who were board certified by the American Board of Medical Specialists. The reciprocity option was updated to include American Board of Medical Specialists AND American Osteopathic Association approved boards. (Based on supporting documentation from the American Medical Association that these were the only valid certifying boards in the United States. Residency in Family Medicine at Fayetteville approved by AOA- affiliated with Nova Southeastern OPTI. Barbara Walker elected as 1st Vice President of the American Osteopathic Association. On Wednesday, November 18th, 2009, a historic milestone for osteopathic physicians in North Carolina was reached. The event was the appointment of Don Jablonski, D.O. 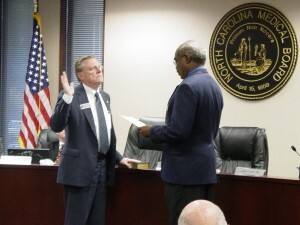 as President of the North Carolina Medical Board. The Board which is also celebrating its 150th anniversary, recognized him as the first osteopathic doctor to hold the office. Dr. Jablonski a tireless promoter of D.O.’s advantages and involvement within the State’s medical fraternity was selected and proposed to the Board by the North Carolina Osteopathic Medical Association, leading to his acceptance and climb up through the ranks of the Board. As North Carolina steadily increases its focus on the advantages that D.O.s bring to health care, it is an important achievement from a medical career of a relentless pioneer and advocate for Osteopathic medicine. Later that night, guests from the Board, NCOMA and NCSAOFP (an organization founded by Dr. Jablonski) attended dinner in his honor at a Raleigh restaurant. Dr. Beverly Goode-Kanawati, President of NCOMA stated “It is a true privilege to honor a guiding force and mentor to many D.O.s in the State; we are proud to recognize his ground-breaking career-long achievements”. North Carolina's first college of osteopathic medicine, the Campbell University Jerry M. Wallace School of of Osteopathic Medicine, enrolls their first class of students.